Seattle Times environment reporter Lynda Mapes takes us behind the scenes on what it's like to view Tahlequah, the grieving southern resident orca - and what can be done to save the starving orca pod. 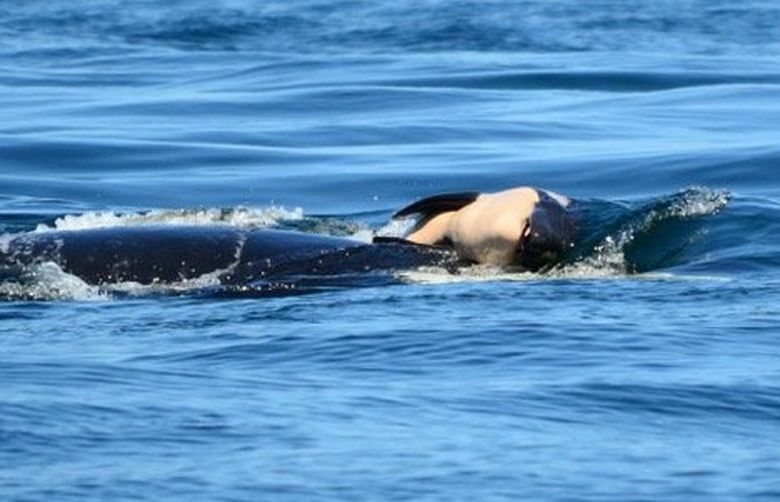 For more than a week, the story of a grieving orca refusing to abandon her dead calf has captivated the Pacific Northwest and even grabbed international attention. On Episode 87 of the Overcast, the Seattle Times weekly politics and news podcast, we go behind the scenes with Lynda Mapes, who has comprehensively covered the story of J35, also known as Tahlequah — and hear how the tale ties in with the bigger picture of the threatened southern resident killer whales. The episode was recorded at the Seattle studios of public radio 88.5 FM KNKX. Mapes, a longtime environmental reporter, has been on research ships closely tracking Tahlequah, as the orca pushes her calf along with her head, or pulls her by a fin. The sad spectacle has drawn a massive outpouring from the public, including even some poems and songs. On the podcast, Mapes goes over what science says about animal grief — and why our human reaction has been so strong. Both orcas and the chinook salmon they need to eat to survive are widely-known symbols of the Pacific Northwest — and both are threatened due to development, pollution and dams. In that way, Tahlequah’s story is about the identity of our region, Mapes says. We also look at what solutions are on the table for political leaders, such as Gov. Jay Inslee. Will killing more sea lions that are eating the salmon do any good (an idea backed by U.S. Sen. Maria Cantwell)? Should there be curbs on development? Is there the political will to breach four dams along the lower Snake River? Listen in for answers.